Google’s core media services take center stage with the interface, but the platform is still light on third party apps and gaming titles. You may not know it, but the Google Nexus Player is running Android TV, which is based on Google’s new Android 5.0 Lollipop operating system. What’s really nice is that the interface, just like its design, adheres to a slick and simple interface. Seriously, it doesn’t take a rocket scientist to figure out how it works – just because the whole thing requires us to use the remote (or gamepad) to scroll through the interface. At the very top, we have a carousel of featured content – while below that, we have hubs for things like our installed apps and games. Naturally, the experience really caters and centers around Google’s various media services. From YouTube, Google Play Music, and Google Play Store, it’s mostly powered by Google’s ecosystem. However, we’re given a few extra third party apps to download through its Play Store – such as popular apps like Netflix and Hulu. Needless to say, there are others to download as well, but overall, its collection is rather selective at the moment – so we really hope that developers get on board to expand its collection soon. 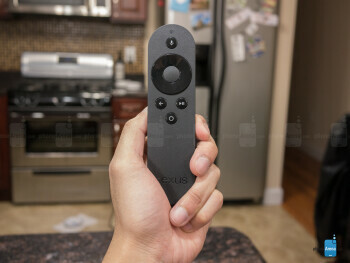 Indeed, the Nexus Player seems like a glorified Chromecast, as we can also screen cast a Nexus 9, or compatible smartphone, to mirror what we’re doing on our device to the big screen. Knowing that, it makes us think longingly about how the Nexus Player sells itself as being a totally different product, since the Chromecast offers this feature to select devices as well. On top of that, we have to point out that Android powered smartphones and tablets have a rich selection of apps that we can download via the Google Play Store. 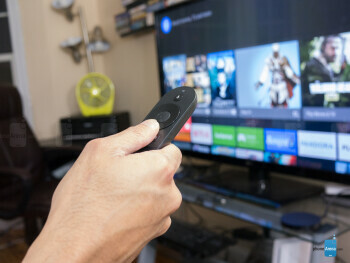 When it’s screen casted to a television using a Chromecast for example, they seem to offer more depth and versatility than the Nexus Player and what its small pool of apps have to offer at the moment. 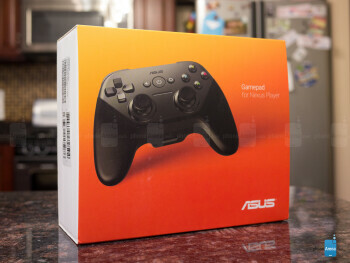 As a media streamer, the Nexus Player acts much like everything else out there, but it’s nice to see that its extension is found in the way it presents itself as a gaming console as well. There’s little slowdown navigating through the interface, but some gaming titles pushes its performance. Inside its compact body, the Nexus Player is powered by a quad-core 1.8GHz Intel Atom processor with 1GB of RAM and an IMG Power VR Series 6 GPU. The hardware collection works flawlessly, as we’re able to scroll, select, and zip through its interface relatively quickly with either the gamepad or remote. Of course, some of its performance is stipulated by the internet connection, which is strictly Wi-Fi. In our experience, however, it’s capable of loading photos, descriptions, and populate content using voice search in a relatively quick and smooth manner. Going back to the remote’s voice search function, it actually works really well in accurately discerning our voice. Although it seems to be fully powered by Google Now, it’s only a fraction of it – so it won’t do things like tell us our upcoming appointments. However, it can tell us the weather, do some basic calculations, and provide us some quick bios on celebrities and musicians. Its main purpose, however, is being smart enough to deliver content results that relate to multimedia. For example, we can say, “search for Oscar winning movies in 1999,” which it then proceeds to populate all of the relevant content. 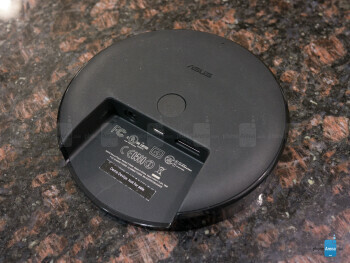 There are a couple of complaints we have with the Nexus Player. First and foremost, it’s a pain when we want to type something up with the on-screen keyboard, since voice input isn’t incorporated into everything with the interface. Luckily, with the aid of its Bluetooth connection, we can pair a Bluetooth keyboard to it. Another issue we have is how little internal storage we’re given; a measly advertised tally of 8GB. Now, this becomes a problem when some games are over 1GB, which means that we need to be cautious and selective in what we want stored in the Nexus Player – sorry folks, there just isn’t any way to expand it. 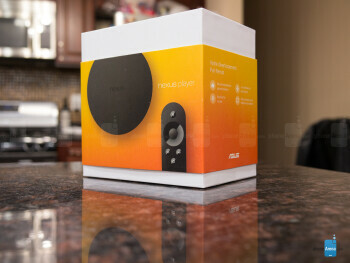 In addition to its various streaming media services, the Nexus Player is also billed as a home gaming console. Just like the selection of apps in the Google Play Store, gaming titles are limited right now – mainly due to the fact that they’re not just simple ports of their smartphone counterparts. 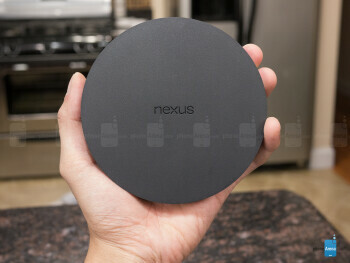 In fact, the majority of titles are optimized specifically to work on the Nexus Player. 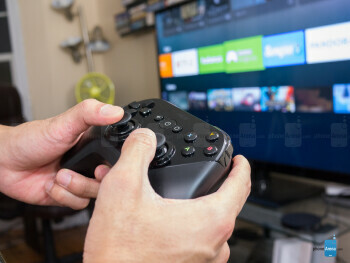 Browsing through the catalog, games are broken down to two main categories – games that are meant to work for the remote, and games that are ideal to play with the gamepad. 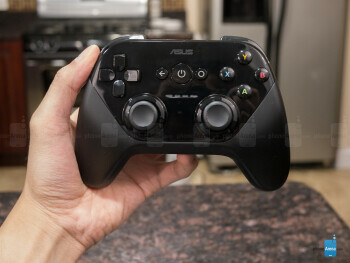 Unfortunately, though, we’re unable to pair other Bluetooth enabled gamepads, like the Moga controllers for example. With the remote control, games function similarly to many of the touch-friendly titles available on smartphones – so they’re easy and simple. Some of them, however, feature polished looking visuals that come to life on the big screen. As for the titles meant to play nicely with the gamepad, we’ll certainly say that they’re more graphically intensive, but we wouldn’t go far to say that they rivals the graphics put out by current consoles like the Playstation 4 or XBOX One. To a certain extent, the graphics rival that of the Playstation 2, and in a few instances, the Playstation 3 as well. Honestly, we find the Google Nexus Player in a tough spot with its expensive price of $99.99 – and that’s only for the Nexus Player by itself. If you plan on playing some real games, not just the ones meant for the remote, you’ll need to shell out another $39.99 to grab the gamepad controller. Combining the two, that’s an easy $140 out of your pockets, which is an amount we feel that’s pricey. Going back to the Chromecast, which offers almost the same set of streaming functions as the Nexus Player, but for only $35, the Nexus Player’s added benefit is its gaming prowess. Sure, it’s not quite as intensive as your traditional home console, but it’s a good starting point – plus, we prefer using a gamepad over the on-screen controls of a smartphone. At the end of the day, though, it’s the pricing that continues to be a thorn on its side.